Smoke detectors are one of those features in a home or office building that goes unnoticed — until there’s an emergency. The mandatory addition of smoke detectors has saved countless numbers of lives from both fires, smoke, and carbon monoxide. The least we can do is replace these silent sentinels every so often. At Morrill Electric, we have been providing fire alarm replacement and testing services for over a decade in order to keep our customers (and your customers) safe. Here are a few reasons why you should consider updating your smoke detectors and fire alarm systems. Upgraded technology. Smoke detectors and fire alarm systems have made huge strides as far as accuracy is concerned. The most modern smoke detectors are capable of detected the slightest amounts of carbon monoxide. They are also much smaller than they used to be thanks to improved internal parts. Less risk. Old smoke detectors, no matter whether or not you have been replacing the batteries all these years, can oftentimes fail in the event of a real emergency. 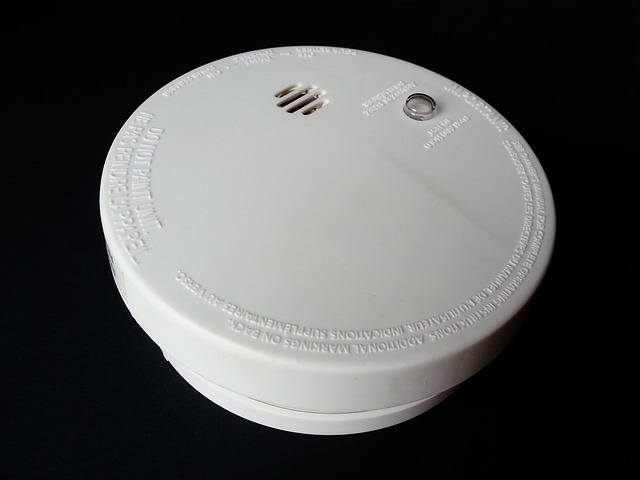 Don’t put your employees or family at risk and replace your 20+ year old smoke detectors. Battery operated or hard-wired. These days many smoke detectors are required to be hardwired with a battery backup in the event of power outages. Many homes and older commercial buildings are only equipped with battery operated detectors, so you should look into making this upgrade. Smoke detectors are silently doing their jobs 24 hours a day 7 days a week. After operating constantly, there are parts that are bound to become worn out. Many experts recommend that smoke detectors be replaced every 10-15 years in order to remove old ones that have filled with dust and other pollutants. To determine how old your smoke detector is, Morrill Electric’s trained electricians will check the label of your smoke detectors. These labels are usually located on the back of the unit and it will help you determine when it was manufactured. So for those who have smoke detectors manufactured back in the 90’s, it is time for a replacement. After your smoke detectors have been replaced by our trained electricians, we will then test to ensure that everything is working properly. Always make sure that your electrician writes down the date of installation as well as the date when the units need to be replaced again to avoid future confusion. When was the last time your home or business had the smoke detectors replaced? Reduce the risk of error during an emergency and contact Morrill Electric for professional fire alarm and smoke detector installation and testing services.